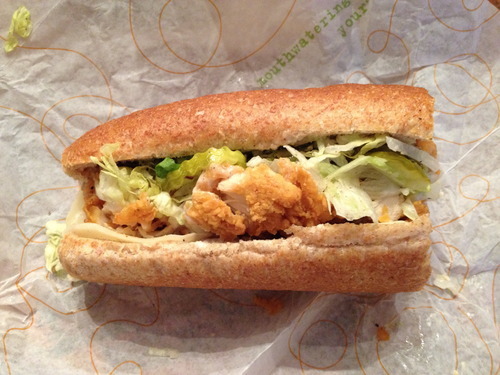 You can get delicious chicken tenders, on a sub and make it even more delicious-er!!!! Everyone loves a good sandwich after a long and stressful day at school. When someone wants to know the best place to get a fresh sub, the obvious answer is Publix, right? Publix has a fresh deli and produce for any of your desires. Everything that Publix has for you to pick from is straight from their store. Subway’s experience is not nearly as enjoyable as Publix’s. When you go to Publix, you can kill two birds with one stone by grocery shopping and picking up your favorite sandwich. Going to Subway just isn’t worth it. Their five-dollar foot longs aren’t even five dollars! Subway sandwich shops are typically located in gas stations and inside of a Walmart. Who wants to eat in a gas station? Publix’s location is always in a great area. Just from their location, you can tell that the quality of the food you receive is going to be better. At Publix, you can choose the quality of meat you want, too. For example, they have Boar’s Head or just the generic Publix brand which is still better than what Subway offers. Subway’s produce that you can choose from is the same variety, but the freshness of it does not even compare to the quality of what Publix offers. However, Subway does have some good qualities. The lines are generally shorter, the sandwiches are typically made faster, and their prices are lower than Publix’s. Even with this in consideration, Publix’s subs are just flat out better than Subway’s sandwiches. Philip Foo is a junior at Freedom High School and is a member of the Cross Country and Tennis teams.